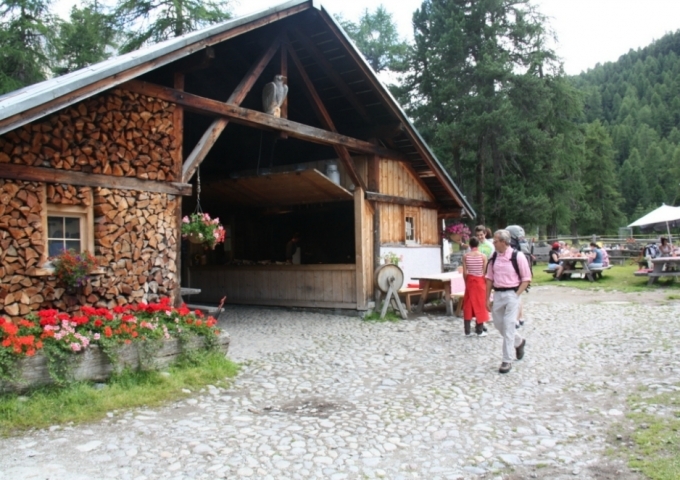 The ancient Roman village Celerina is located at 1.720m next to St. Moritz in the Upper Engadin. 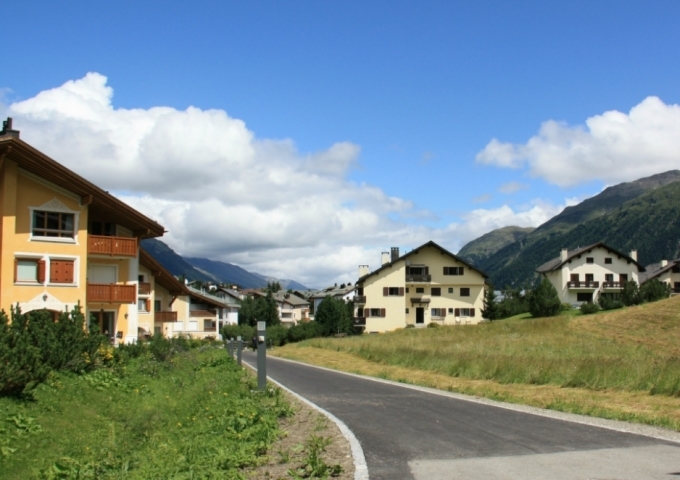 From way back Celerina has the most sun hours of Switzerland by the unique location at the intersection in the valley between St. Moritz, Pontresina and Samedan. 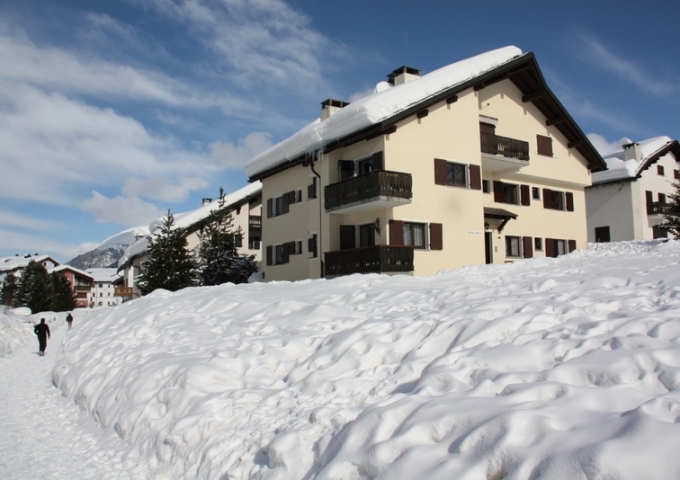 Moreover in the winter periods Celerina recognises always enough snow for skiing and other winter sports. 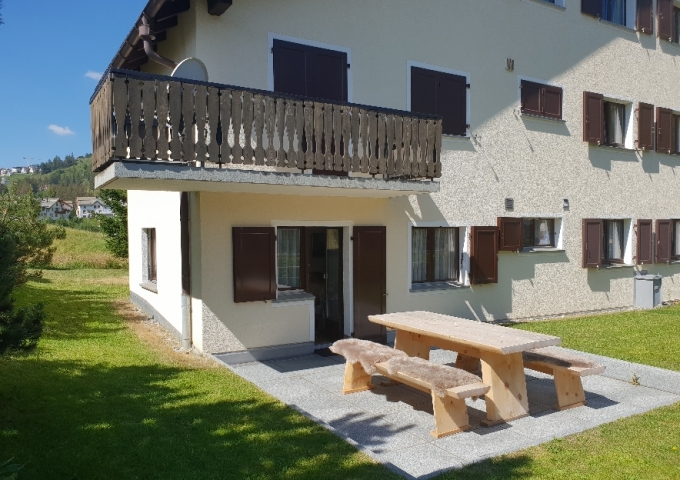 In the summer you can enjoy typical mountain sports such as hiking and mountain climbing up to 4.000m around the Piz Bernina. 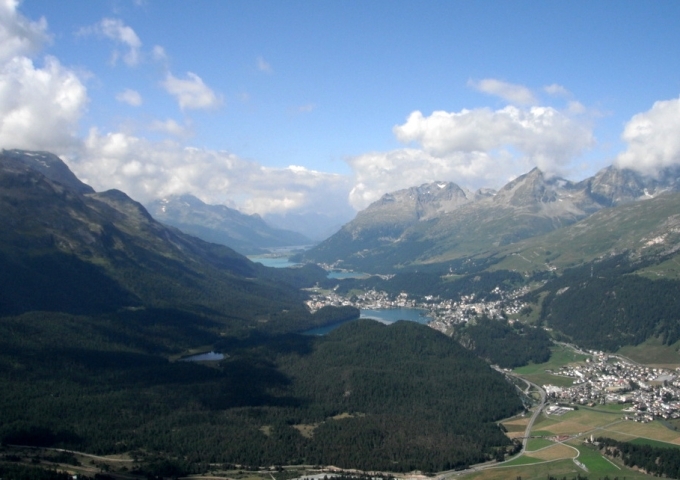 Characteristic of the Upper Engadin are the magnificent lakes between St. Moritz and Maloja. 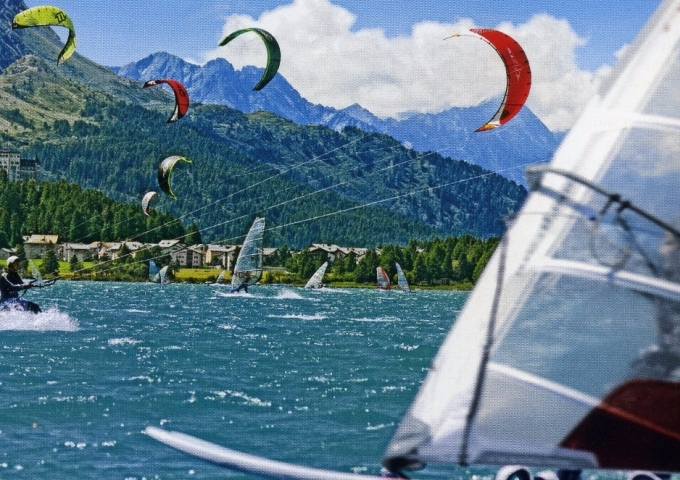 This area is also well known by trained (kite) surfers. 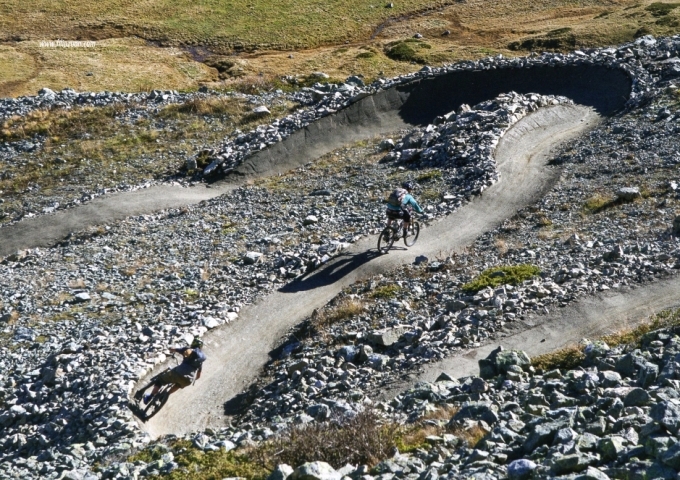 The range of other outdoor sports, with special routes for horse riders, cyclists, climbing parks is overwhelming. For each age, there are numerous opportunities to walk and to be active outside. 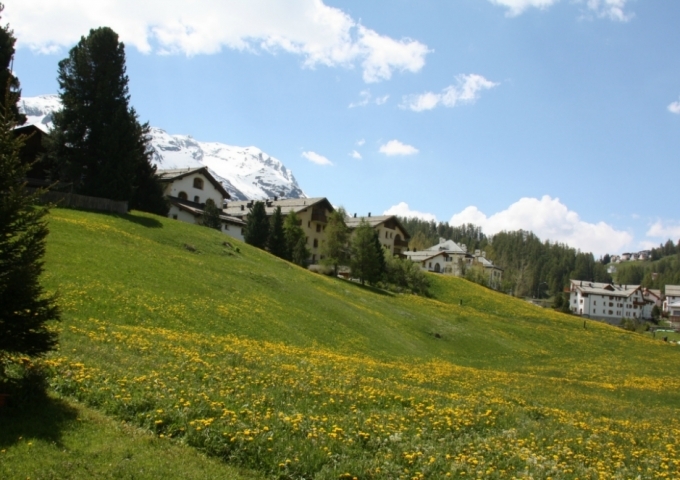 The Swiss National Park is nearby and day trips to Italy such as Lake Como, Merano and Tirano are possible. 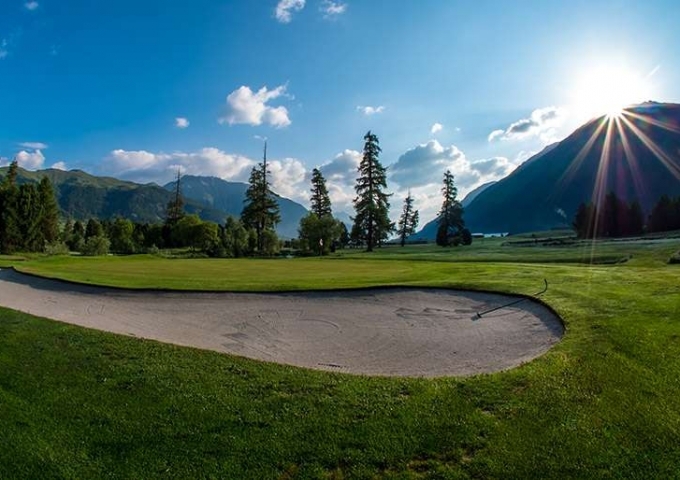 The Engadin has two 18 holes golf courses, one right next to Celerina and the other one in Zuoz (15 minutes driving) each with 18 holes. 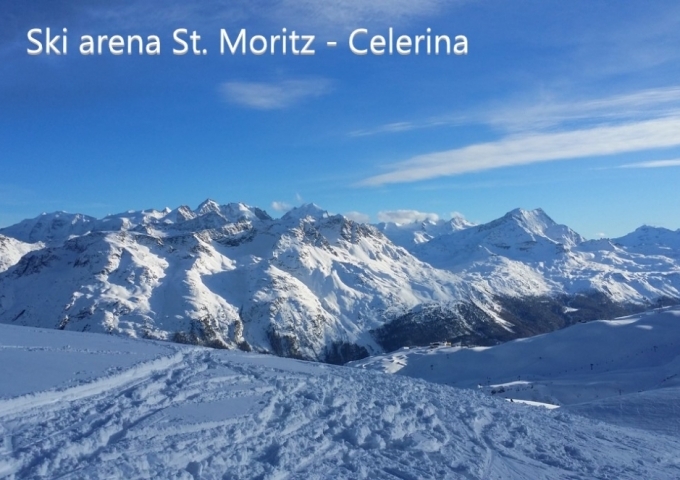 The ski area above Celerina, named Corvilia, is shared with St. Moritz and has over 300km of skipistes. From the apartment it's a 5 minute walk to the ski lift. 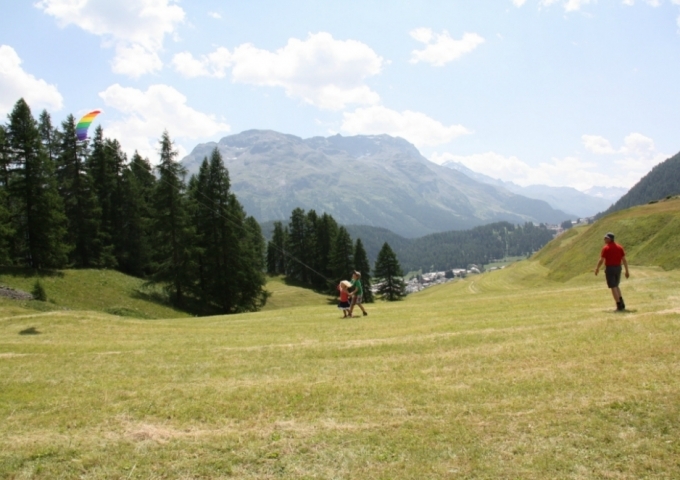 In the village Celerina there is also a ski school where children from the age of 3 can learn to ski. 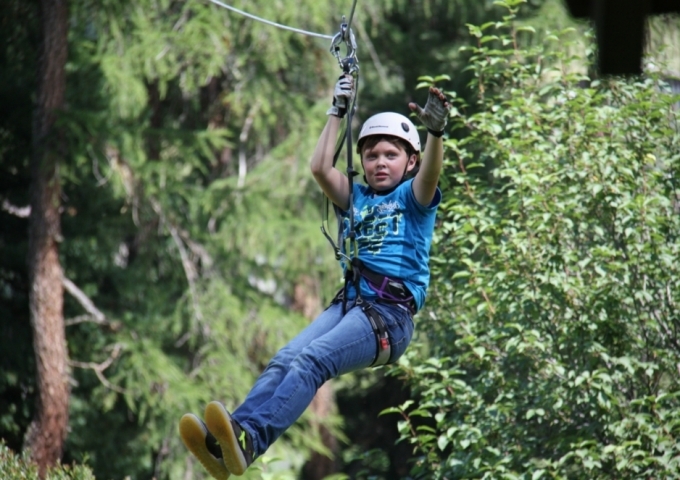 Children from the age of 6 and onwards can go up to the larger area with first class ski lifts and pistes. 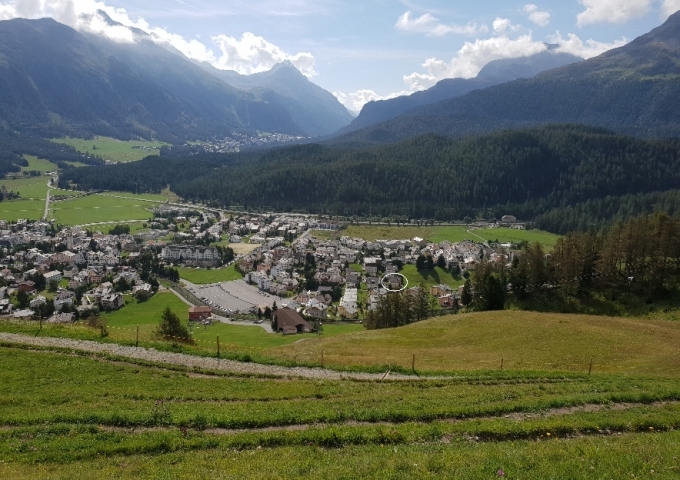 Taste the atmosphere above St. Moritz with hardly any queues in high season and the breath taking views over the Engadin. 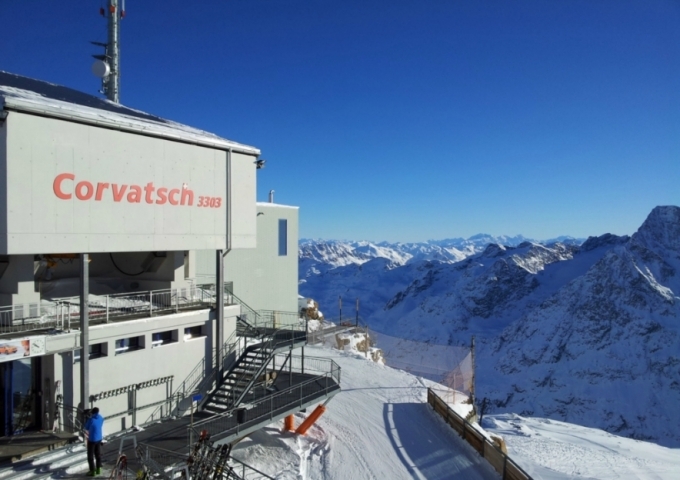 The Corvatsch ski area with a height of 3.300m in Silverplana is also easily accessible by car or bus within 15 minutes. 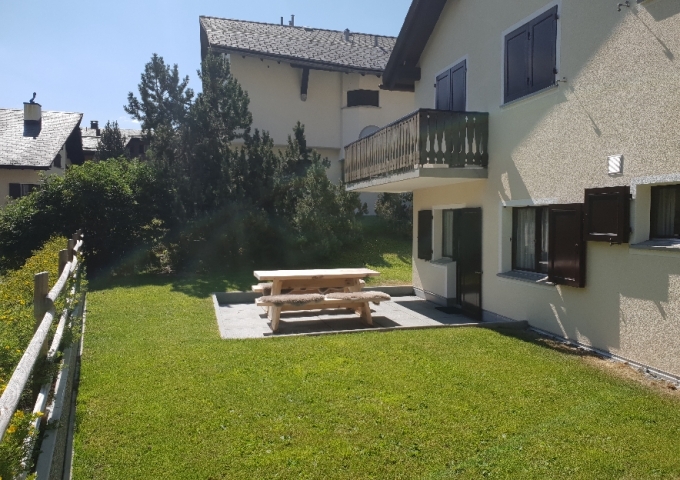 Moreover you can also go in the direction of Pontresina for skiing on the Diavolezza with the fantastic descent on the Morteratsch Glacier along the Piz Palu and Piz Bernina. Worldwide famous in the winter period are the polo sports on ice at the lake of St. Moritz and the bobsleigh and skeleton run from St. Moritz to Celerina. For the sports fanatics there are over 200 km cross-country skiing pistes through the valley over the lakes and through the woods, with the highlight the annual cross-country skiing Marathon. 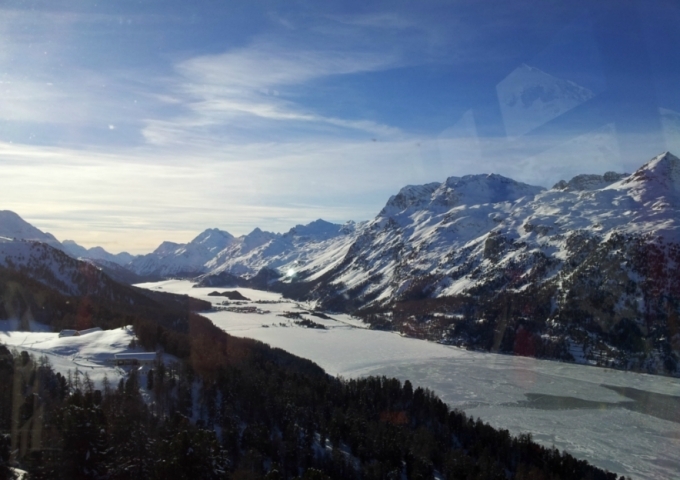 The Upper Engadin is very good accessible by car, train or plane. 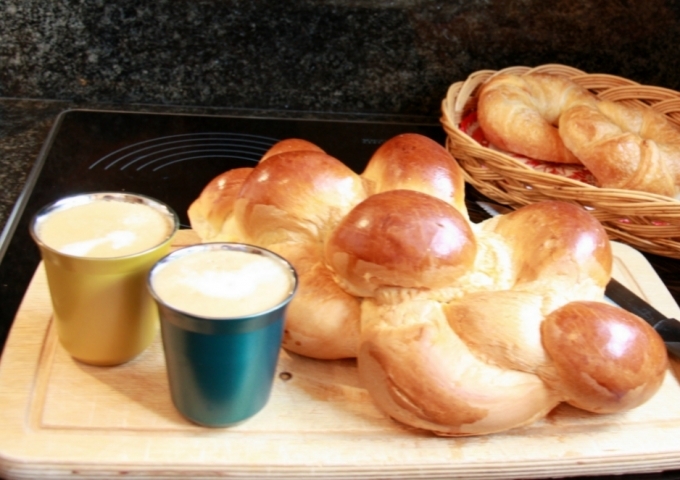 From Chur you should consider about one hour driving to get over the Julier Pass in the Engadin. In winter you should take an extra half hour travel time into account. 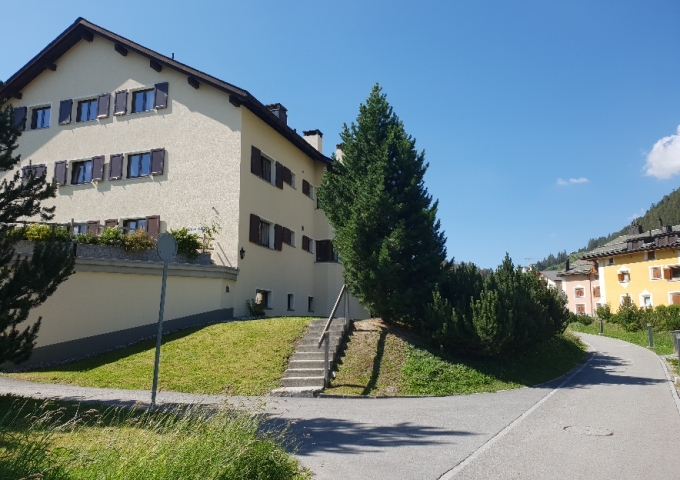 Both in winter and summer, you can take the car-train combination from Tiefencastel to Samedan or the very modern "Autoverlad Vereina" from Kloosters (Davos) to Sagliains (Zernez). 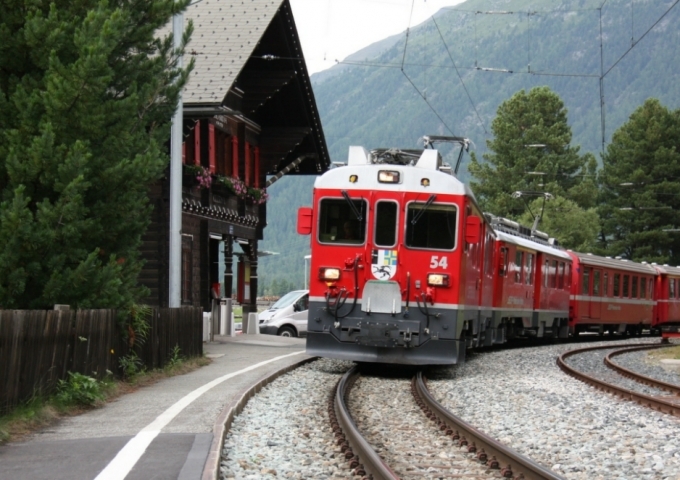 If you go by train, you are travelling about two hours from Chur to Celerina with the worldwide famous Glacier Express which belongs to the World Heritage. 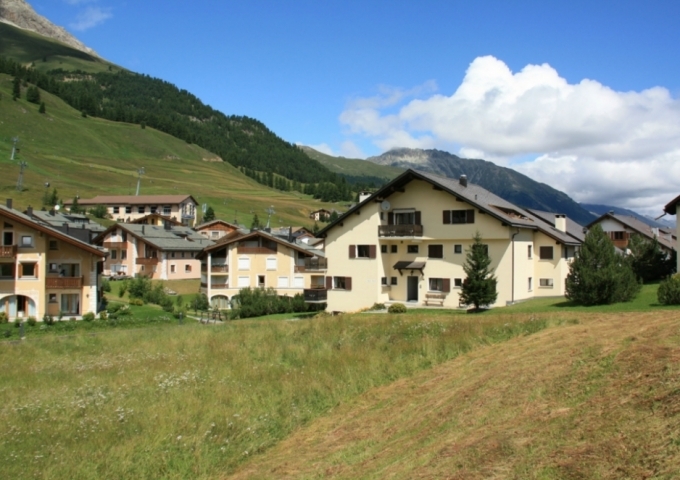 It's also possible to take the plane to Zürich, Milaan or even Samedan. The rental price is exclusive tourist taxes, linens and towels. 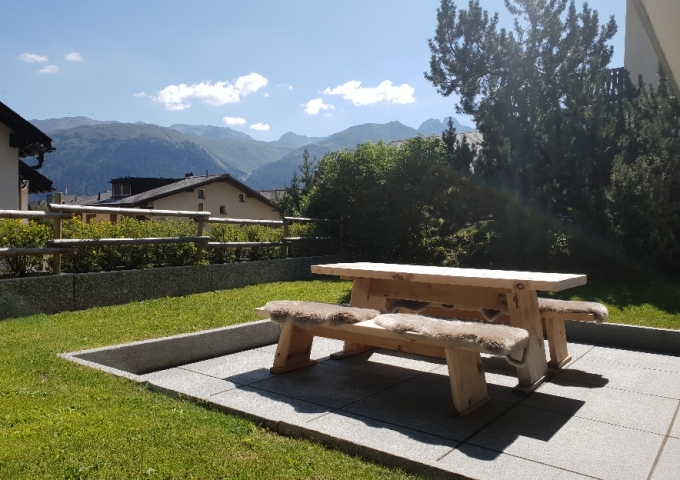 Seperately you will be charged for cleaning of CHF 180,- and CHF 25,- per used bed for the use of linens and towels.